Kristin Petrick is in the beginning stages of potty training her 2-year-old daughter. She asks if there are methods to “alleviate false alarms” when her child says she needs to go potty but actually does not. Petrick’s daughter’s behavior is normal. It is also one of the most frequently asked questions about early potty training. 1. When should I start potty training? Dr. Maura Frank, medical director of the pediatric clinic at the New York Presbyterian Hospital/Weill Cornell Medical Center, says to make sure your child has reached developmental milestones like walking and talking before potty training. To learn to use the toilet, your child needs to be able to get herself to the toilet and be able to communicate the need to go. Your child should be able to pull on a pair of pants without help. And finally, your child should have some awareness of the signals that he needs to go. 2. How can I tell the real thing from a false alarm? False alarms are the first step in the child gaining some control. Until then, a child is at the mercy of her parents, but when potty training begins, it is the first time she can take control over some element in her life. It is a first step toward independence. 3. Should I use a potty chair or set my child right on the toilet? Dr. Frank recommends using a potty chair because a toddler may feel more confident if her feet can touch the floor. If using the toilet, have a small step stool in front that is sturdy and safe to climb, but make sure the child can also rest his or her feet on it. ". . . make sure your child has reached developmental milestones like walking and talking before potty training." 4. My son wants to stand up when he goes to the bathroom. Should I let him do that from the beginning? If that’s what he wants to do, let him, says Dr. Barry Kogan, pediatric urologist at Albany Medical College in New York. A little boy may want to mimic his father or older brother, which can make it easier to potty train. Just remember that standing requires more hand-eye coordination, says Dr. Ari Brown, a pediatrician in Austin, Texas. Dr. Frank suggests that, rather than using a potty chair or balancing on a stool, let your son use a bucket to pee in, which is higher than a typical chair and has a wider opening to shoot for. 5. Why does my child have an easy time peeing on the potty but not pooping? Dr. Brown says having a bowel movement takes more effort and often has more complications, such as constipation, or a traumatic experience, such as pain. That may make it more difficult for a child to want to let that poop out, even when he is aware of the urge. 6. Why does it seem like potty training girls is much easier than potty training boys? Experts agree there is no clear-cut reason, but there is plenty of speculation. Dr. Kogan suggests developmental differences — like with so many other milestones, boys tend to develop a little later than girls. Dr. Brown suggests that it may have to do with hygiene and that girls typically are more interested in being cleaner and drier than boys. However, Dr. Frank notes that, while on average boys do begin potty training a little later than girls (average age for boys is 30 months, while for girls it is 28 months), the length of potty training time is the same for both boys and girls. 7. Should I give rewards for potty training? Dr. Frank says using small toys or sticker items as rewards is fine if the parents think it will help. However, she recommends avoiding food rewards unless it is a healthy food like an apple slice. With obesity becoming more prevalent in young children, it is best not to use food as positive reinforcement. 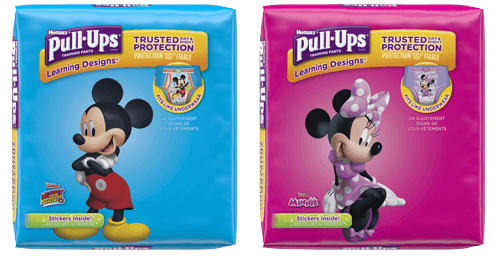 The best way to approach potty training is to prepare for it in advance. Dr. Maura Frank calls it readiness training. Dr. Frank also recommends practicing by sitting on the potty fully clothed. If a potty chair is used, let the child get acquainted with it by using it for play, such as potty training a favorite doll or stuffed animal.